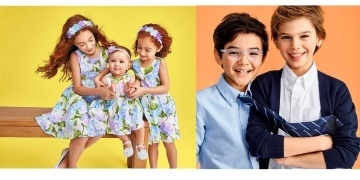 Psst... regular-priced kids' pajamas are 25% off right now at Joe Fresh! These are some mighty cute PJs, and they'd make a great addition to those Easter baskets. You can shop this sale until April 18, 2019, but I wouldn't wait. At these prices sizes will go fast. And since the kids always need pajamas, you might want to scoop up a pair or two in the next size up. I mean, you can't go wrong with this Baby Girls' Kimono Sleeper that's marked down to just $7.50! And be sure to take a look at the deal on kids' tees that ends today. You'll save big when you buy 2!